The club was founded in 1990 by a small group of locals who were passionate about rugby and what the game can offer young people. 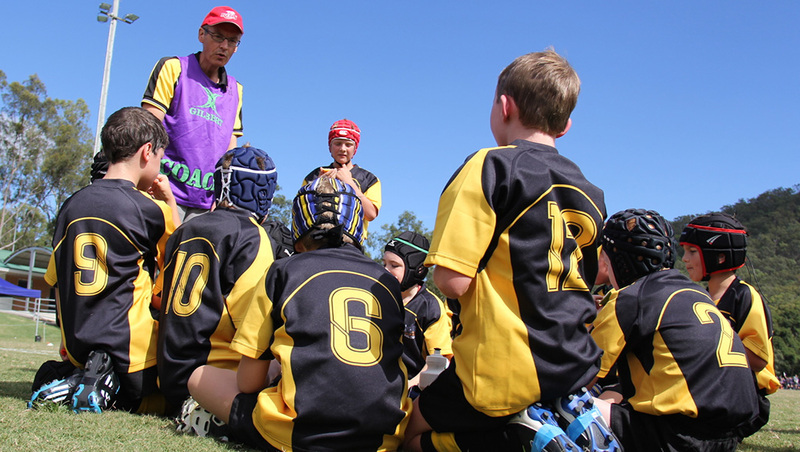 From humble beginnings the club has grown and over the years thousands of kids and parents have been part of the UQ Junior Bullsharks’ community. Initially known as Taylor Bridge, the name was changed in 2017 following the creation of a joint venture with Brisbane’s most successful senior rugby club, UQ Rugby. The UQ Junior Bullsharks are located in Graceville, Queensland and draws the majority of its players from the surrounding areas. Historically the Bullsharks have been amongst the top Junior Rugby clubs in Brisbane for player numbers. TBRC has a rich background in providing the roots for players who have gone on to enjoy careers in pro Rugby, NRC and the NRL, and we cater for players aged 3-5 in our Puppies team and then steps up from U6-U17. Taylor Bridge Rugby Club formed a joint venture with University of Queensland Rugby Football Club in 2017. This means the the clubs work together to grow and the develop the game, and gives the UQ Junior Bullsharks access to some of the finest rugby resources in the country. Our players and coaches are are supported by UQ players and representatives throughout the season, working together to help develop them, and provide a pathway all the way to Colts at UQ. The club has a variety of social events that are run which include the Women In Rugby Event in which we recognise and thank the women who do so much for the club and the kids, and our annual gala dinner dance which is the top fundraiser for the club for the year.